Welcome to Part 2 of my Skin Care Routine! In the morning, I always use some sort of toner or liquid to wipe down my face after washing. I know some will argue that toning is an unnecessary step in skin-care, but I find that it picks up any soap residue left behind, and makes up for the fact that (wait for it....) I don't use any serums in my morning skincare routine! Yes, it's true. I've tested out several different serums, and while I love them for night care, I find that they leave my face too moist for the day. In the mornings, I go straight from toning to moisturizer or bb cream, depending on the population of face demons for the day. Most days I will simply swipe a cotton pad of Mizon AHA & BHA toner over my face and call it good. 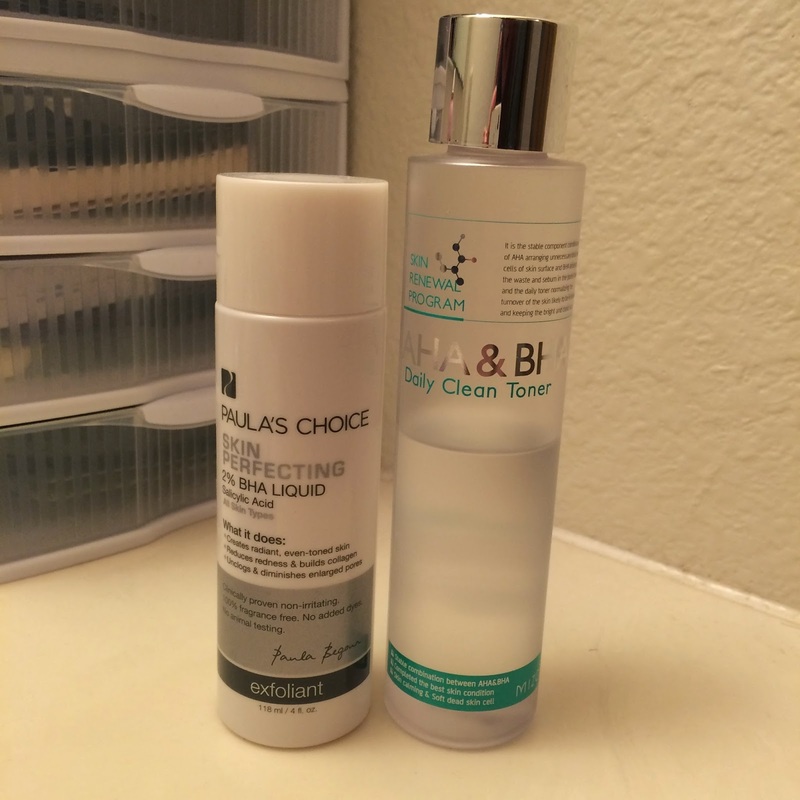 But some days, my face really needs the extra help between pimples and blackheads, so I'll use Paula's Choice Skin Perfecting 2% BHA Liquid and go from there. 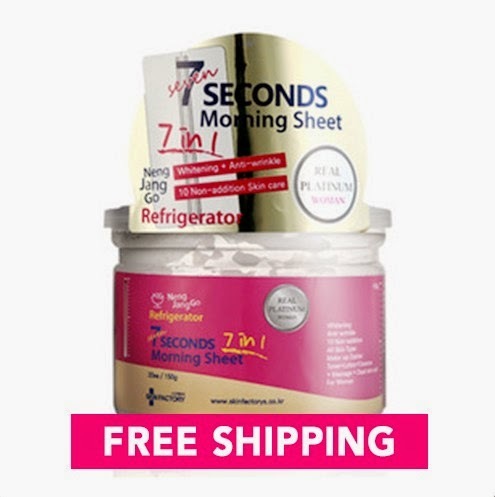 However, if you're looking to splurge and save some time in your morning routine, I suggest trying out the SkinFactory 7 Seconds Morning Sheet Mask from Memebox. Stay tuned for part 3: morning moisturizers and bb creams.